Sharing your "Attitude of Gratitude"
“Attitude of gratitude” captures more than one right sentiment at once. We all know people who seem to have this positive stance on life built in to their nature. How does a person get a better attitude and how does that relate to the feelings of gratitude? Is there a relationship between helping your children or students do the right thing by asking them to express the sentiments of gratitude at appropriate times with your own ability to feel grateful and extend expressions of thanksgiving? For sure, acknowledgements of thanks or genuine expressions of appreciation can make anyone's day go better for both the receiver and giver. After special celebrations, events, and family gatherings, opportunities abound to share wishes for happiness through thank-you notes and personal notes of appreciation. What a pleasure to receive hand-written notes! But it’s even more important to be in the position to write and send them. Where do the habits of expressing appropriate gratitude begin? In “5 Tips for Writing Thank-You Notes with Kids,” Catherine Newman discusses cultivating gratitude is more than a by-product. And it’s not a far stretch to say that research in gratitude is a growing field of study. Researchers are discovering links between happier and healthier children who get involved with an activity such as thank-you note etiquette. Anecdotes abound when we read about children who are engaged creatively, rather than through nagging and hounding, in writing expressions of thank you! 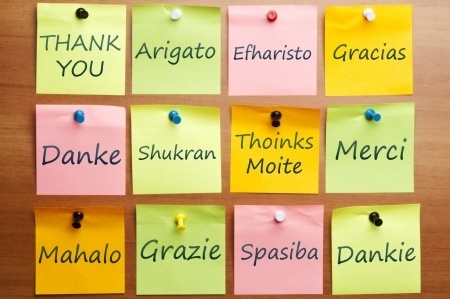 It’s not the etiquette practice itself that is so important, yet the how-to of a thank-you note embraces the bigger principle of not only feeling grateful, but knowing it is proper to return what is due, which is thanks. What comes first: the feeling of gratitude or the practice of being mindful that there is a proper need for an expression of thankfulness? These are chicken and egg kinds of questions. If you focus on situations that deserve acknowledgement of gratitude and then carry through, is a better attitude forthcoming? And does a better attitude lead to more gratitude? Share your tips, anecdotes, and comments here.